The truth, however, is far more complex and certainly not as romantic as the tourist junket brochures – or my photos – would have you believe. In Vietnam, the farms are getting bigger, farmers are being pushed off the land, crops are being grown increasingly for export, and ecological diversity is – if one is feeling generous – waning. 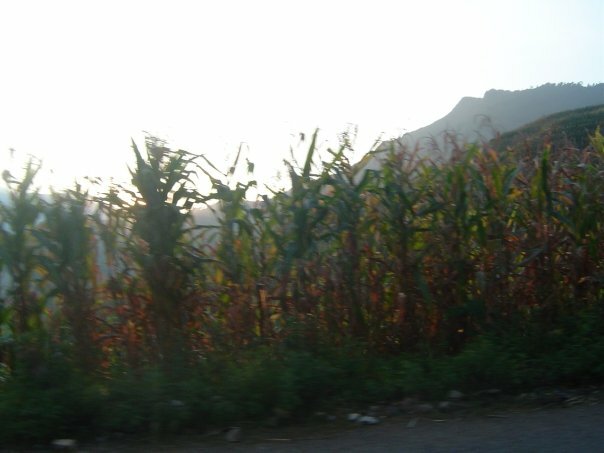 Corn, for instance, is increasingly grown in Vietnam to supply the animal feed processing industry. It is one of the major crops targeted by the Vietnamese government for GMO production, the others being soybeans and cotton. The latter has been grown in field trials in parts of the countryside since 2009 despite that, at the time, biosafety regulations governing GM production had yet to be approved. Nor is Vietnamese agriculture historically static, although tourism relies to a certain extent on the carefully-orchestrated maintenance of a myth that it has remained essentially intact since some day pre-dating the era of Western imperialism. It simply isn’t true. The current production system – a frightening symbiosis of capitalistic land markets, industrial monocrops and rigid state-led directives – is part of a complex web of interrelated historical events and systems, not least of which has been the ongoing growth and consolidation of financial and agricultural capitalism. Lenin, baby, I think you were on to something. Even if one chooses to believe that our food crisis is characterized by scarcity (which it may be, in due time), or that biotechnology will have the desired impact on pesticide use and volume of production (highly debatable in the long term), it doesn’t change the fact that it’s a system inherently capitalist in the sense that it values economic efficiency and growth over quality or sustainability or creativity or diversity or justice. It values monocrops managed by machines over diverse ecosystems tended by human labour. It continues to turn land-holding peasants into landless wage labourers, whether that be on larger farms or in exodus to the cities, where food prices continue to climb. It encourages growth of fewer crops with dwindling nutritional and ecological value in the name of balancing trade. In short, it does nothing to challenge the system at the root of modern day hunger.